We are a leading Manufacturer of burma teak wood door, burma teak wood doors and burma teak doors from Coimbatore, India. 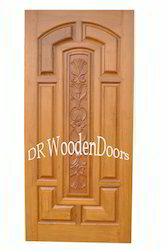 Manufactured following the set industry norms and guidelines, quality of this Burma Teak Wood Door never deteriorates. Its making involves the utilization of high grade raw materials and modern tools. Owing to this, the product is known to have an impeccable finishing, elegant design, commendable sturdiness and high durability. In addition, it is marked at the most reasonable rate possible. Manufactured in compliance with the set industry norms and guidelines, quality of this Burma Teak Doors never collapses. Its impeccable sturdiness, durability, resistance to corrosion, finishing and attractiveness, is owed to the finest that are available in the market. Further, the offered range is marked at the most reasonable rate possible. 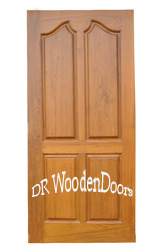 Looking for Burma Teak Doors ?